Visit Thaxted Essex and the surrounding villages and stay in bed and breakfast, hotel or holiday cottage accommodation provided by BedPosts members. The small town of Thaxted has a beautiful church on which construction began in 1340 and a tower windmill. On top of a hill, the church spire can be seen from a considerable distance. There are timber-framed, overhanging houses behind the 15th-century timbered guild-hall; almshouses and a double row of dormered, gabled and colour-washed cottages on the road out to Cutler’s Green. See the impressive 18th-century Clarance House. Visit John Webb's Windmill. One of the 3 pairs of millstones has been restored and is producing flour. 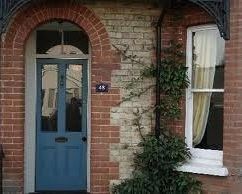 If you seek accommodation near Thaxted in Essex you have come to the website of a “club” of providers who offer affordable quality accommodation around UK in hotels, bed and breakfasts, guesthouses, inns, and restaurants plus self-catering cottages and apartments .